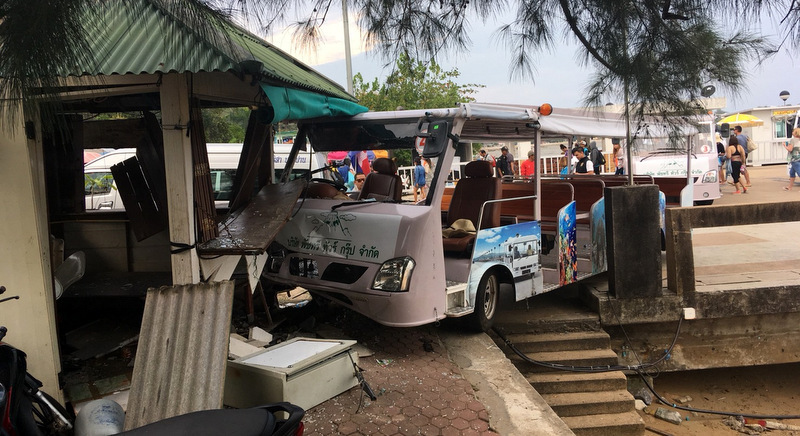 PHUKET: Ten Chinese tourists were taken to hospital for minor injuries yesterday (Jan 19) when the driver of their shuttle bus crashed due to “failed brakes” into a sala on Ao Po Pier in Pa Khlok, on Phuket’s east coast. Capt Natthi Pichitchainitimet of the Thalang Police was notified of the accident at about 3:40pm. Thalang Police, Pa Khlok Municipality rescue workers and Kusoldharm rescue workers arrived at the scene to provide assistance to find “many tourists lying on the ground, some crying out in pain”, reported Capt Natthi. “Rescuers workers sent 10 injured Chinese tourists to Thalang Hospital. Most of them had chest pains, and leg and arm pain. All were Chinese tourists and no one was seriously injured or killed in the accident,” he said. 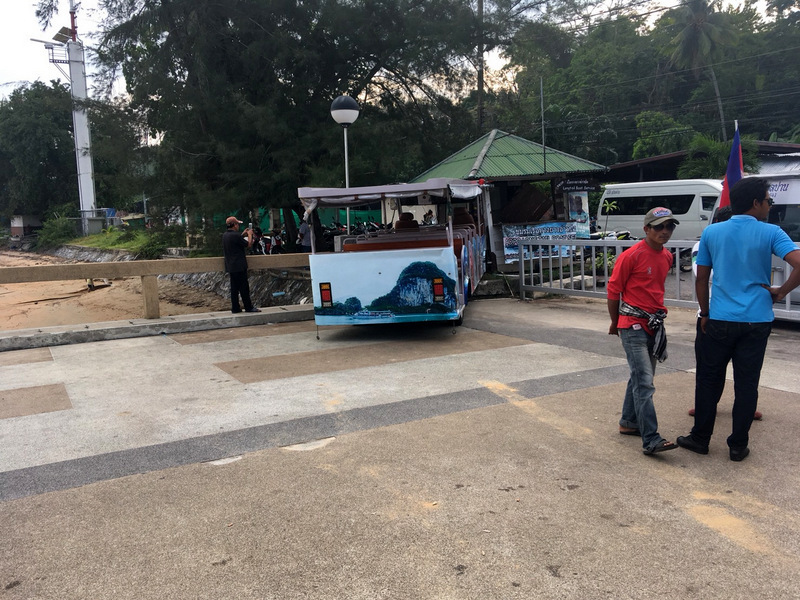 The injured tourists were named as 3-year-old girl Yuanguo Hou, Ms Humin Liu, 65; Mr Botao Li, 19; Ms Wenjia Wang, 27; Ms Yiran Yang, 30; Ms Bingjie Wen, 21; Mr Haowei Xie, 30; Mr Huiwen Niu, 30; Mr Ye Tian, 29; and Mr Shuimin Du, 60. “The shuttle bus, with a 30-person capacity, was heavily damaged on its front and right side. The windshield was cracked,” Capt Natthi reported. 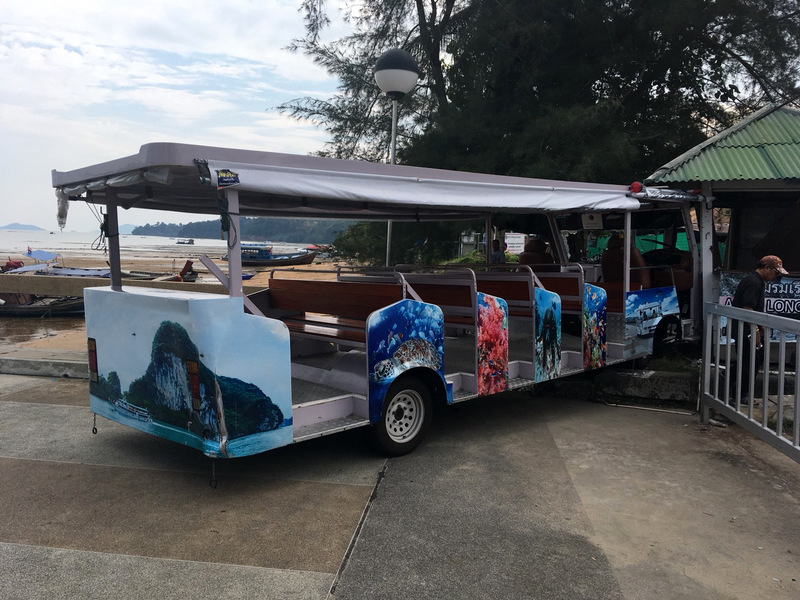 The vehicle, belonging to Patcharee Tour Group, was driven by 39-year-old Pongthep Lawan from Pa Khlok, Phuket. Mr Pongthep told police, “Before the accident, all 25 Chinese tourists came from a speedboat that had just returned from Naka Yai Island and were returning to Patong. 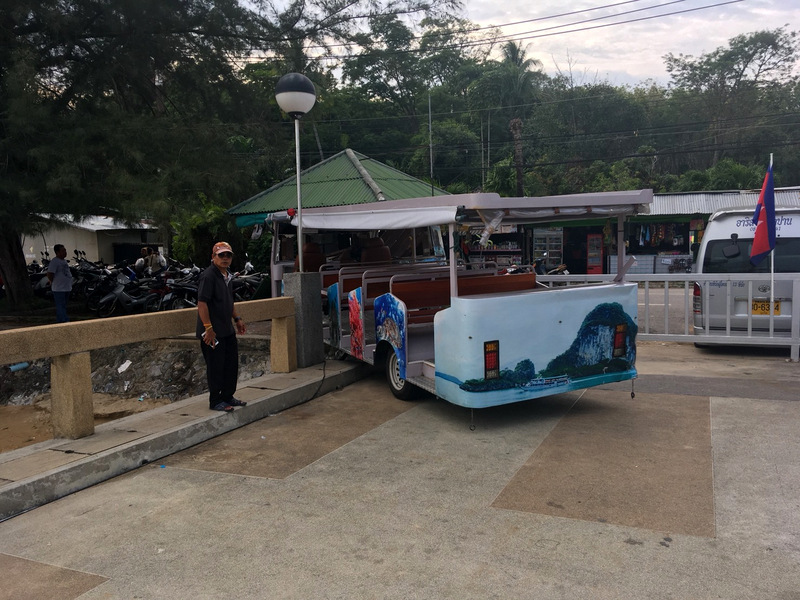 “We were driving from the end of the bridge to the road when the brakes failed and the vehicle could not be stopped as normal and crashed into the Ao Po longtail boat club,” he said. Capt Natthi added that police will continue to investigate the incident. The police should investigate the maintenance logs of the brakes in this case. And, brake systems don't need to be improved, they just need normal check ups / maintenance., and professional use on steep hills of course. Perhaps the question should be addressed to mechanical engineers to improve braking systems. Is the investigation including the maintenance status of the tourist pier shuttle bus? When was the last time the brakes were checked? Is there a law about brake checks of public transport vehicles? If not, why not? It would be justified to have such law, yes? Is there no thai high ranking official available to declare that all the time thai public transport brake failures have to stop?